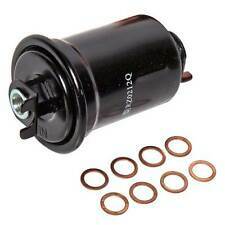 THIS LISTING IS FOR A NEW INLINE FUEL FILTER DAIHATSU WILL FIT VARIOUS VEHICLES CROSS REFERENCE NUMBERS ARE AC GF497 AC GF709 AMC TF1159 AMC TF1353 BALDWIN Z928 COOPERS 2330026060 CROSLAND 6678 CROSLAND BF805 DAIHATSU 2330024010 DAIHATSU 2330026060 FRAM 6681 FRAM G4167 GMC 25055186 GMC 25176290 HERTH BUSS JAKOPARTS 1337000 MANN-FILTER WK4213 MANN-FILTER WK4282 PUROLATOR F24673 PUROLATOR F50156 PUROLATOR PFC156 PUROLATOR PFC4673 SOGEFIPRO FT5174 SUBARU 742023000 SUBARU 742023010 TOYOTA 2330025060 TOYOTA 2330026060 TOYOTA 2330044060 UFI 3102500 VIC FC901 WIX FILTERS 33084 . 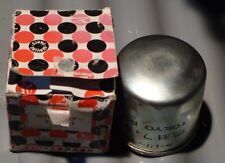 Removed from a 1998 DAIHATSU HI JET 1.2 DIESEL VAN 1221cc. FOR YEARS: 1995, 1996, 1997, 1998 (1998). NORTHANTS VEHICLE RECYCLING CENTRE. Taken From The Above Vehicle Currently In For Dismantling. We Do Not Cover Any Labour Costs Involved With Fitting Or Removal Of Any Parts.